Automatically sync files to Dropbox, Google Drive or OneDrive with Deep Freeze Cloud Sync. 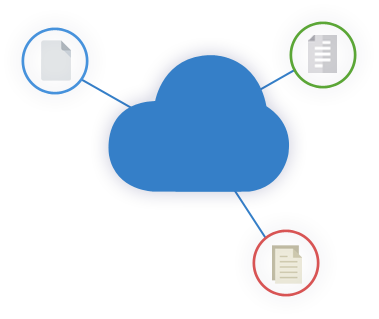 Ensure no data is retained on local drives once a file is uploaded to the cloud, preventing the risk of data theft on any computer. Easily access work files from your preferred cloud storage provider on any computer and eliminate the need for unsecured external drives. Automatically upload files to the cloud, even in a Frozen state, to protect data during the Deep Freeze reboot-to-restore process. Conserve local hard drive space and eliminate the need for expensive network storage by using cloud drive providers to save files and maintain backups securely. Finding the right data management solution can be a costly endeavor, especially when dealing with a multi-user computer environment. Locally maintaining profiles, files servers and backups might not be the most efficient or cost-effective solution for your enterprise. One way companies are simplifying operations and cutting costs is by moving their files to a cloud-based storage provider. Find out the results in this recent white paper. Since files are tied to individual cloud storage accounts, this prevents multiple users using the same computer from accessing each other’s files. Files can be automatically synced from default Windows File Explorer folders such as Desktop, Document, or Downloads. Never lose your documents. Access and save your documents from your favorite cloud storage provider. Cloud Sync makes it easier for users to access their files without the need of Deep Freeze ThawSpaces or creating Thawed partitions. It leverages Dropbox, Google Drive, or OneDrive to empower end-users to automatically save their data to a supported cloud storage provider. In the event the computer is protected by Deep Freeze, Cloud Sync ensures the data will survive a restart until is it successfully uploaded to your preferred cloud drive.